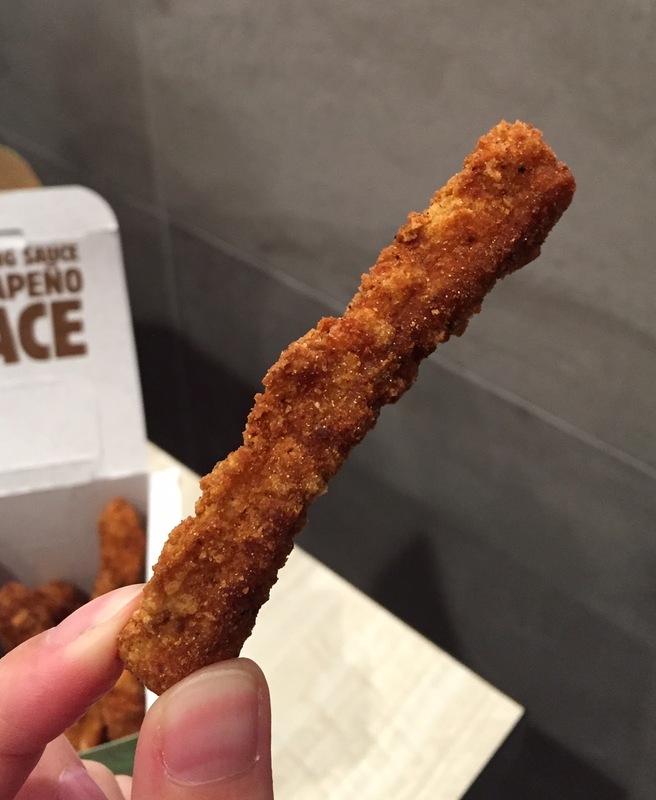 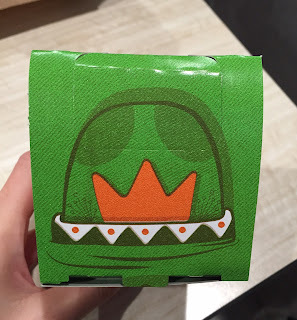 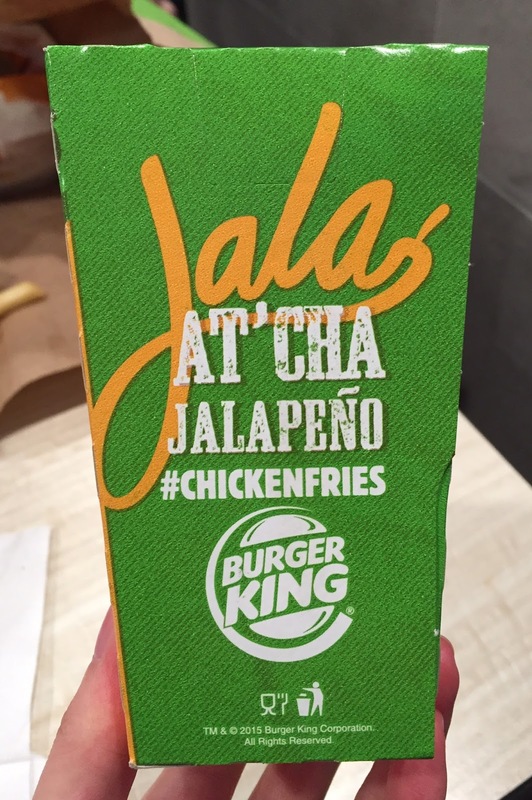 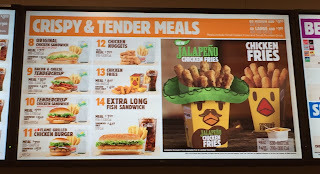 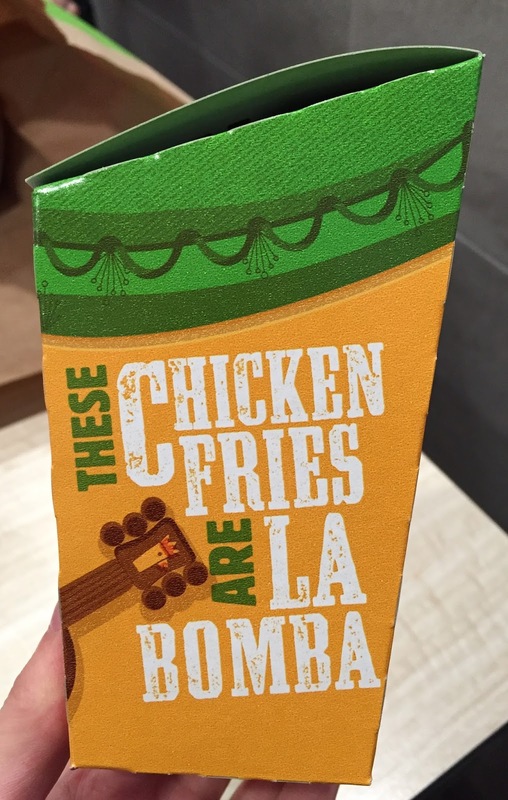 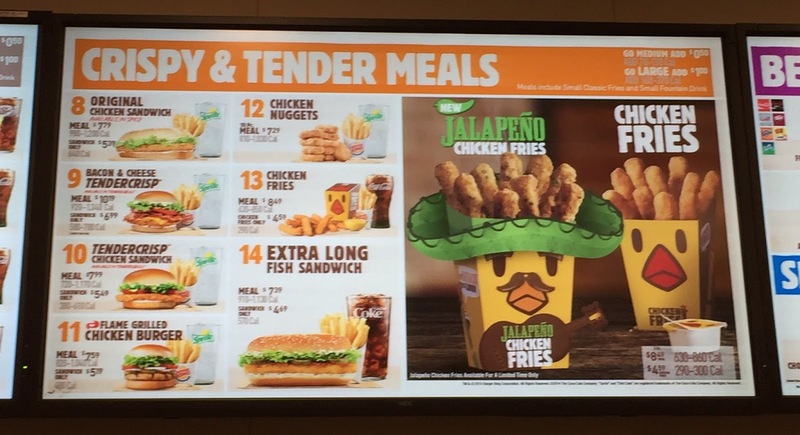 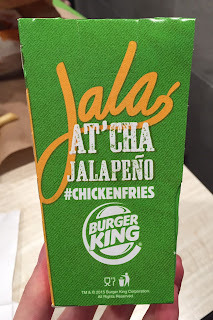 Burger King launched jalapeño chicken fries a while ago. 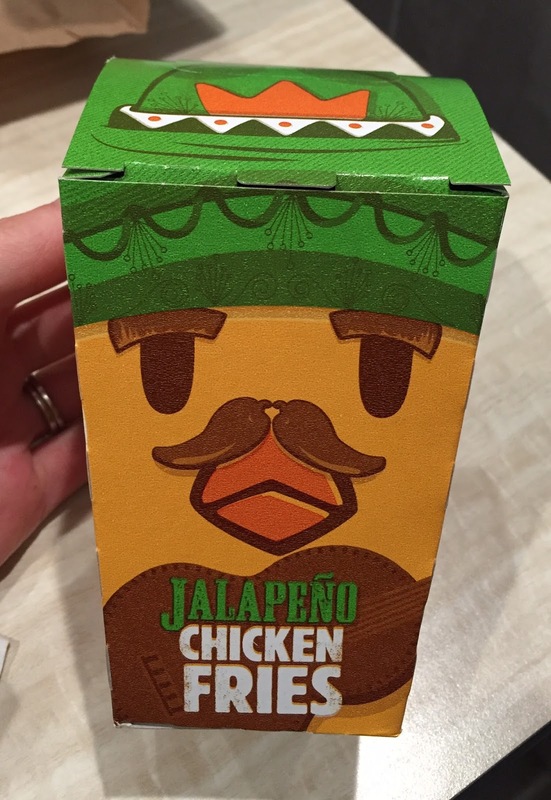 Jalapeño = Mexican accessary (sombrero, mustache and a guitar) is very stereo type. 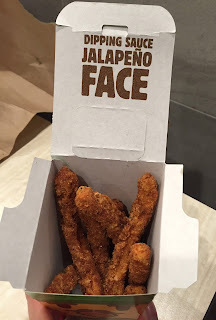 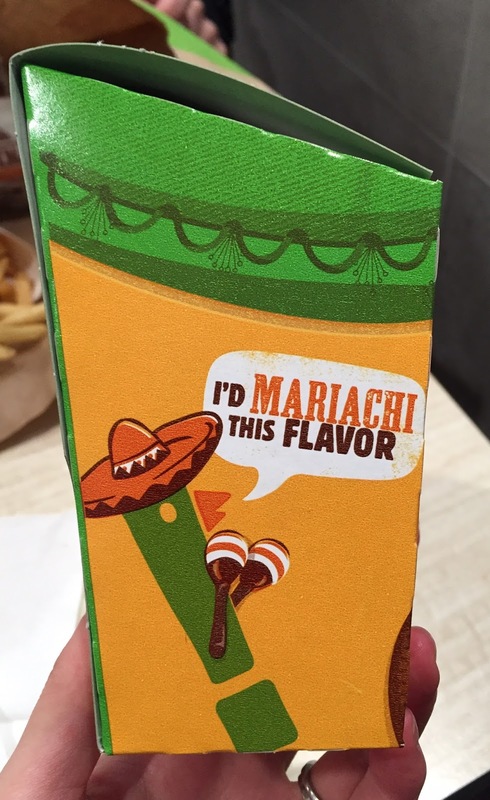 The mustache was actually 2 brown jalapeños. 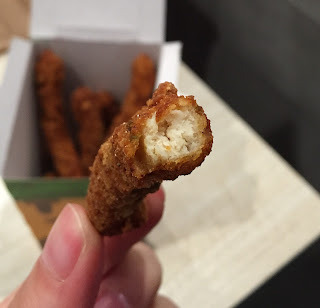 In the breading, there're tiny pieces of jalapeños. 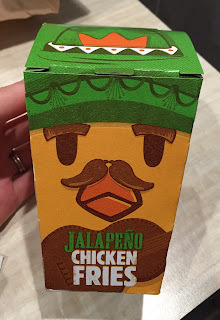 It had a little spiciness, but not so spicy. 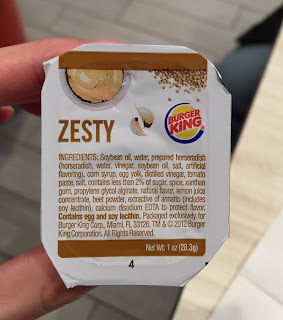 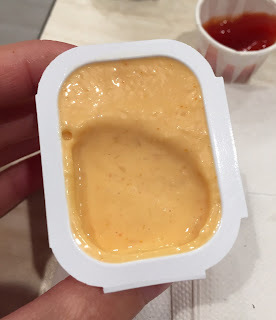 I got a Zesty sauce for the first time. It had horseradish scent, and it tasted like horseradish mixed with mayonnaise.